Within the depression cone created by local pumping wells, streams are provided with the pumped groundwater. This groundwater is often ferrous, but potentially non- acidic. Locally adjusted solutions are expected to ensure ventilation, oxidation and retention of iron. In the Lusatian Lignite Mining District a number of dump purification plants are in operation. The iron rich and partly acid swamp waters are mainly treated with white fine lime and white fine hydrate. 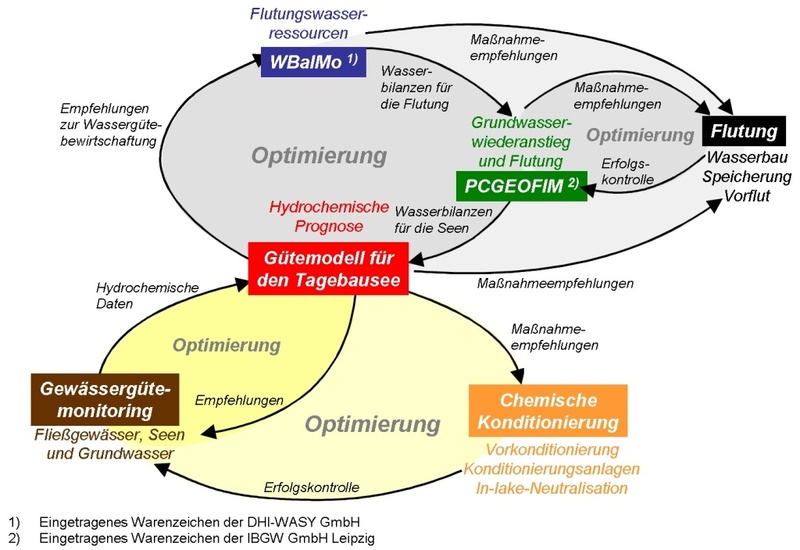 The sludge generation during water treatment processes in Lusatian dumps amounts to approximately 13mio m³/a. At present, the sludge is considered as waste product and mainly gets disposed. 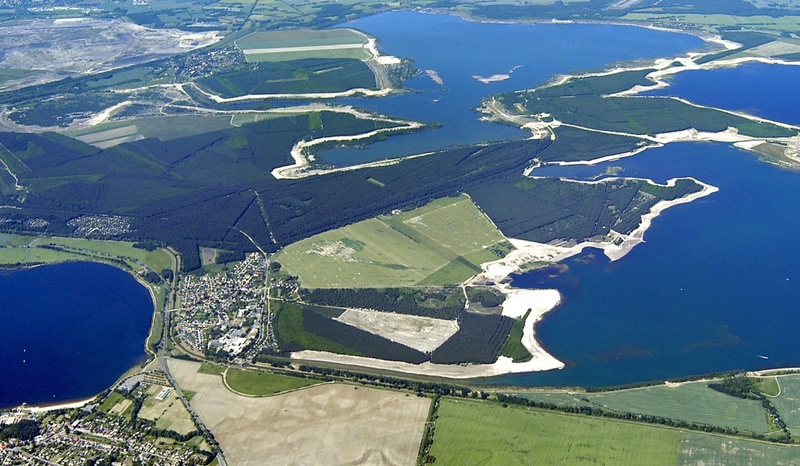 In the region of the former irrigation fields Braunschweig, a legally approved fourth purification stage of the wastewater treatment plant Steinhof (Braunschweig) has been built. During the construction process, the structure of the historical irrigation fields Braunschweig has been preserved. The daily output of Steinhof´s fourth purification stage ranges between 10.000 and 50.000 m³/d. Post-purification takes place during the passage through surface waters (ponds, meanders), soil and groundwater. Hydrogeochemical modelling is an appropriate tool for predicting and forecasting the effects of pyrite alteration on the water budget of mining catchments. 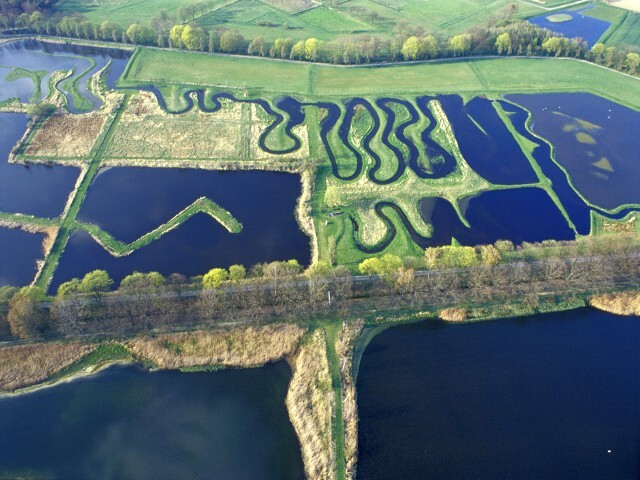 Combining PHREEQC with water balance models can help to map hydrogeochemical processes taking place in rivers, lakes and aquifers. 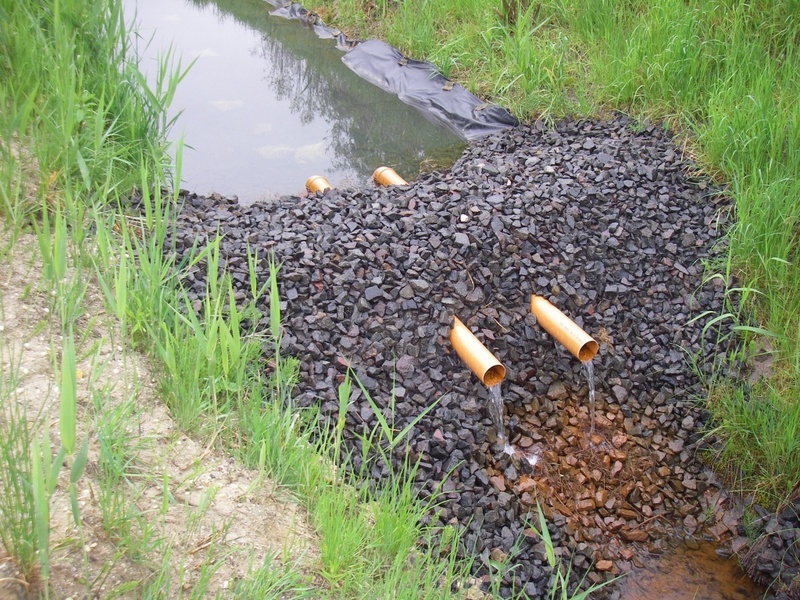 Passive water treatment takes advantage of naturally provided physical, chemical and biological purification potentials of locally accumulating mine water. 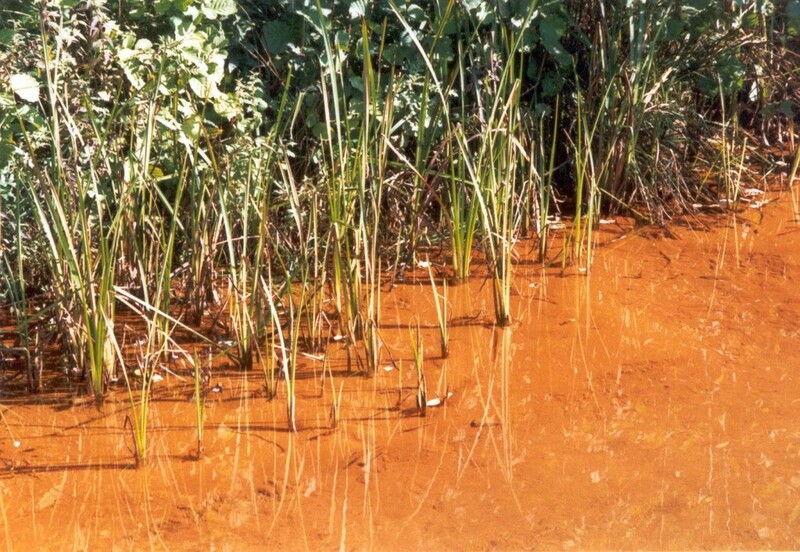 The treatment of mine water is likely to be conducted on a long-term. By means of passive water treatment, solutions can be proposed which are energy and resources conserving and are tailored to the local conditions. 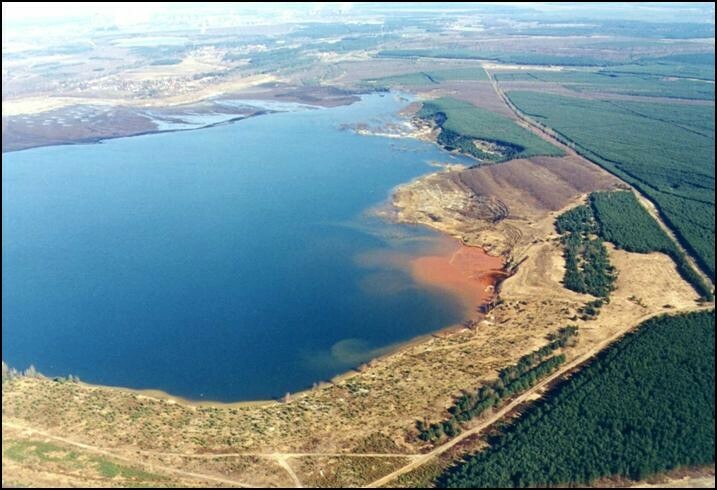 The prediction of the water quality in emerging open-pit lakes in the Lusatia region is conducted according to the principle of mass balance. 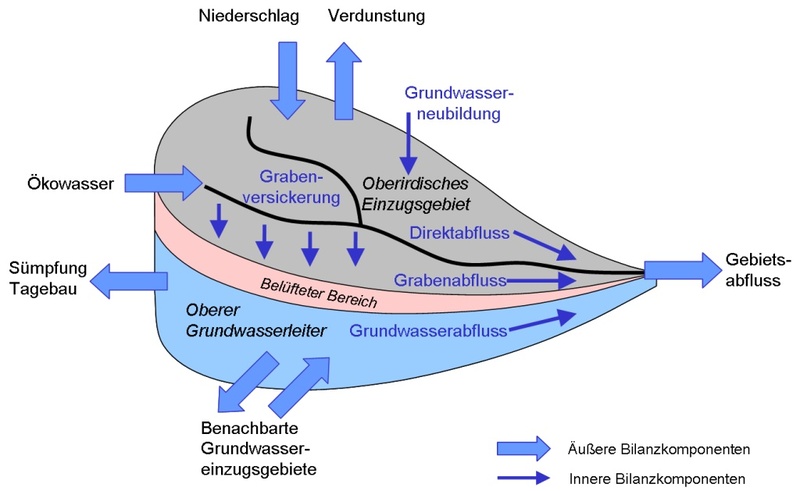 The flow rate of rivers, of flood water, and of groundwater are determined by hydrological and geohydraulic modelling (e.g. WBalMo, PCGEOFIM) as well as through systematic monitoring. The redevelopment of water resources management in areas influenced by lignite mining has to be planned carefully and in great detail. While conceptualising the flooding of open pit lakes and integrating them into the hydrosystem, sustainable decisions have to be made.